VLADIVOSTOK, November 28. /TASS/. The mission of the Russian Aerospace Force in Syria is more effective in quality than the U.S. mission, Russia’s presidential press secretary Dmitry Peskov said in an interview with the Vesti V Subbotu (News on Saturday) television programme. He called an “undeniable fact” result of the U.S.-led coalition’s actions, which had been in Iraq and in Syria for 15 months. “Unfortunately, that mission, which lasted for over a year, has resulted in bigger territories controlled by IS (Islamic State),” he said. “It is for the first time now, thanks to the mission of the Russian Aerospace Force, which is not that long yet, the tendency has changed radically”. The Russian and French military have been discussing already an action plan for Syria, though it is too early yet to announce the coalition is ready to cooperate, said Russia’s presidential press secretary Dmitry Peskov. He continued saying some countries had chosen to leave now the “pressing position” demanding an immediate resignation of Bashar Assad. “Now that most Syrian territory is controlled by IS, Nusra and other terrorist organisations, it seems unrealistic to organise whatever elections,” the press secretary said. “Nor realistic are talks about a political settlement. The only force on the ground, which is fighting terrorism, is the Syrian Armed Forces”. Russia is for territory and political integrity of the Middle East countries, presidential press secretary Dmitry Peskov told. The anchorman said about various political and ethnic groups acting in the region, including, for example, the Kurdish militia. The presidential press secretary preferred to leave unanswered a question from the anchorman whether Russia should intensify contacts with the Kurds. 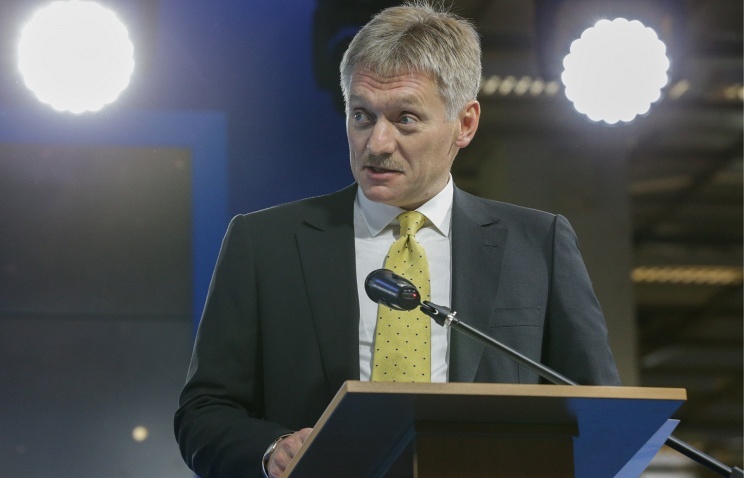 “Here, I have said everything I could,” Peskov replied. What is Russia’s S-400 Air Defense System Set to Do in Syria? The S-400 Triumf (NATO codename SA-21 Growler) is an anti-aircraft and anti-missile system, which is capable of intercepting all types of modern air weaponry, including fifth-generation warplanes, as well as ballistic and cruise missiles at a maximum range of nearly 250 miles. It has a tracking range of over 370 miles.The system uses three types of long- and medium-range missiles and can simultaneously engage as many as 36 targets. In addition, the S-400 is the only missile complex in the world capable of hitting targets located beyond the horizon, defense expert Konstantin Sivkov told Radio Sputnik. The system is also well protected against electronic warfare. In short, the S-400 is the best defensive system Russia has in its arsenal. But just in case, the Triumf will also be assisted by the S-300F Fort (SA-N-6 Grumble) air defense system outfitted on the Moskva guided missile cruiser. “The S-300 system onboard Moskva is also an extremely capable system that is similar to the S-400, but not quite as potent. One of the missile types supported by the Rif-M system … can engage targets out to 95 miles at altitudes up to 90,000ft. The system can engage half-a-dozen targets with up to twelve missiles simultaneously,” Dave Majumdar observed in an article for the National Interest. On Tuesday, a Turkish F-16 shot down a Su-24, claiming that the aircraft had violated its airspace. Russian officials and the Su-24 pilot, who survived the crash, insist that the plane did not cross into Turkey. The crew, according to the pilot, did not receive any warning prior to the attack.The Su-24 was involved in Russia’s counterterrorism efforts in Syria aimed at assisting Damascus in its fight against ISIL and other extremist groups trying to overthrow Bashar al-Assad. MOSCOW, November 27. /TASS/. The S-400 (NATO reporting name: SA-21 Growler) air defense missile systems that Russia has moved to its airbase near Latakia in Syria after Turkey shot down a Russian Su-24 bomber will help keep most of Syrian airspace under control and will be a sword of Damocles over the heads of potential aggressors, experts say. Any incidental encounters with the aircraft of the US-led coalition in Syria are hardly possible thanks to modern military hardware, the experts say. 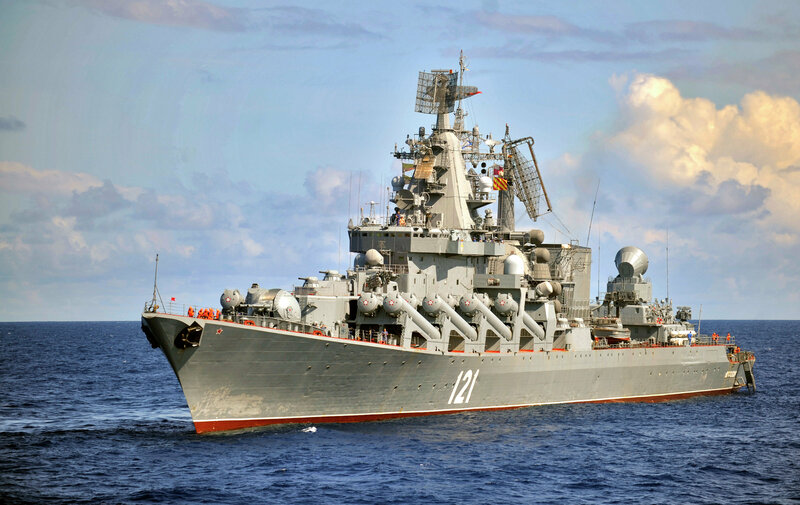 Along with the Fort air defense missile systems aboard the missile cruiser Moskva already in Syrian waters, the S-400 systems will ensure the safety of the Russian air group’s flights and will destroy any targets posing a threat to it. Also, Russian aircraft and helicopters on a combat mission will be accompanied by fighter jets for combat cover and also by aerial electronic warfare systems. The Pentagon has voiced fears that the Russian S-400 air defense missile systems may complicate the situation in the sky over Syria and has said it expects that these complexes won’t be aimed against the US-led coalition. Russian Defense Ministry spokesman Major-General Igor Konashenkov said he was surprised over the US reaction. “We were confident until Tuesday that our planes destroying Islamic State facilities were guaranteed against attacks from the so-called US-led anti-IS coalition,” he said. “Now all the northern provinces in Syria bordering on Turkey, as well as the north-eastern provinces bordering on Iraq are tracked by our [S-400] system and targets can be hit at a depth of up to 300 km,” military expert and editor-in-chief of the Arsenal of the Fatherland journal Viktor Murakhovsky told TASS. “Therefore, as it turns out, with the deployment of the S-400 at the Khmeimim airbase, the territory of Turkey is visible within the distance of about 350-400 km while fire can be delivered at a distance of about 200-250 km in depth,” the military expert said. “Turkey has itself created such a situation that now its plane may be shot down if it enters the Syrian airspace even for a second. 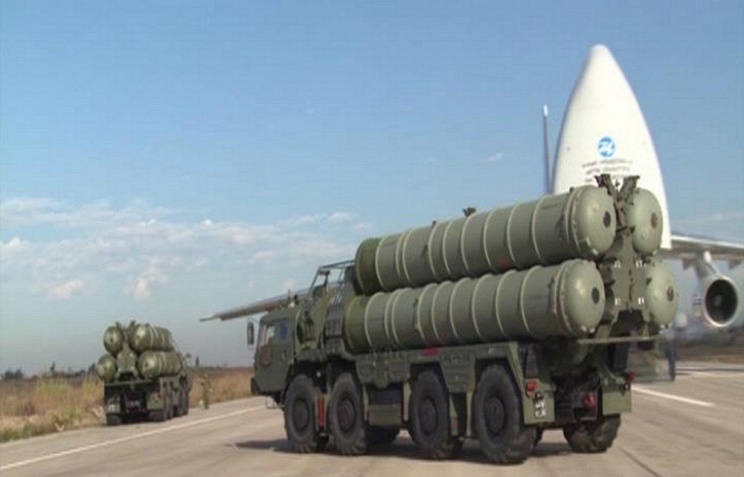 Now the [S-400] system will track all Turkish warplanes approaching the border. The S-400 is a sword of Damocles that will hang over the heads of potential intruders,” he added. As for the US indignation, the expert noted that the United States had signed a memorandum with Russia on preventing air incidents. In principle, no one is guaranteed against incidents, he added. “But modern identification and detection systems exclude such things. There can be no incidental occurrences there. The statements that the Turks did not know that this was the Russian plane and confused it with a Syrian aircraft is child’s talk and does not stand up to criticism,” the military expert said. The electronic warfare system will now be used in the first place, the expert said. “Until now, we refrained from this because we hoped for understanding from the so-called partners,” he noted. ‘As for electronic warfare and air defense systems, it can be said that we’re among the best in the world,” the military expert said. “The Americans’ fears are completely unfounded and are only an element of political pressure,” the expert told TASS. “Modern technical capabilities and specialists’ qualification give a possibility actually to exclude an incidental downing of planes,” the military expert said. An advanced S-400 Triumf air defense system on Thursday was delivered and deployed on combat duty at the Hmeymim airbase near the Syrian port city of Latakia, the Russian Defense Ministry said. Earlier in the day, a RIA Novosti correspondent reported that Russia has delivered its S-400 missile defense system to its air base near Syria’s Latakia. “Today, in accordance with a decision by the Supreme Commander of the Russian Armed Forces, an S-400 air defense system was promptly delivered and deployed on combat duty at the Hmeymim air base in Syria,” ministry’s spokesman Maj. Gen. Igor Konashenkov said. On Wednesday, Russian President Vladimir Putin approved the Defense Ministry’s request to deploy the S-400 Triumf (SA-21 Growler) at the airbase in order to protect Russia’s Aerospace Forces operating in Syria.The decision was made after Turkish fighter jets had shot down a Russian Su-24 bomber, which had been taking part in Russia’s anti-terror campaign in Syria.